We-Fi’s Leadership Champions were nominated by We-Fi contributor governments, based on their demonstrated personal passion and commitment to promoting women’s economic empowerment and entrepreneurship. Leadership Champions will mobilize global support for women entrepreneurs through high-level advocacy initiatives, including by highlighting We-Fi-supported projects. Potential activities of Champions may include: (a) Highlighting effective and/or innovative, gender-smart solutions to help women-owned/led small and medium-sized enterprises start and grow; (b) promoting collaboration across the public and private sectors, and developed and developing countries; (c) mobilizing international support for women’s economic empowerment. Danièle Henkel is a caring and capable businesswoman that managed to position her personal and entrepreneurial brand in Quebec. Her eponymous brands have helped pave the way to well-being and position “beauty in truth” as a new social norm in the business world. Danièle Henkel is a genuine person of influence who lends her voice to many causes that are dear to her. She focuses, among other things, on molding a stronger and outward-looking Quebec. A strong advocate for the promotion of women entrepreneurship in Quebec, she does not hesitate to finance, support, mentor and invest in businesses in which she believes in, as demonstrated during her five seasons on Quebec’s “Dans l’oeil du Dragon”. In hopes of a solid and well-trained succession — on human and economic levels — Danièle Henkel capitalizes on education. In addition to establishing her own medical cosmetic academy, she shares her knowledge by giving impactful conferences at home and abroad, notably in Europe and Africa. Daniele Henkel is a woman who transforms every challenge into professional and personal achievements. Resettlement, immigration, emancipation, her best-selling autobiography, has empowered several generations of proud and strong women. A mother of four and a family woman, Daniele Henkel manages her companies with the help of her children. While life has not always been easy for the intuitive entrepreneur, her obsession to create a softer, more caring world remains. 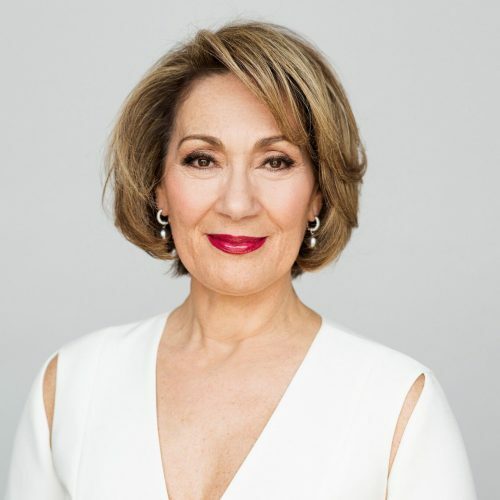 In 2018, Daniele Henkel received the Medal of Honor of the Quebec National Assembly. She was named Knight of the National Order of Merit of the French Government last year. Ma Lu is Executive Vice President of the China Resources Group, a Fortune Global 500 enterprise. Ms Ma’s previous positions included Senior Vice President of the State Power Investment Corporation, Senior Vice President of State Nuclear Power Technology Corporation and Vice President of China National Technological Import and Export Corporation. Ms. Ma holds a Ph.D. degree in Engineering from the Beijing Institute of Technology and an EMBA degree from the University of Texas Arlington College of Business. Ms. Ma joined China Resources Group in 2016. 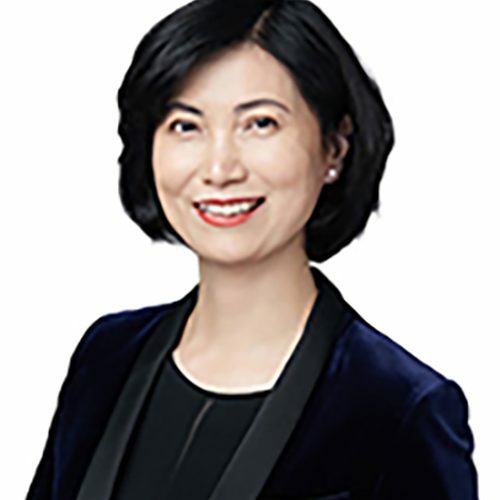 Chairperson of the Board for Gree Group, and Chairperson of the Board and President of Gree Electric Appliances Inc.
Ms Dong Mingzhu is the Chairperson of the Board for Gree Group, as well as Chairperson and President of Gree Electric Appliance Inc. of Zhuhai. Her efforts in improving the quality of the Chinese household appliances industry won her numerous honors. In 2014, Ms Dong was invited to the World Economic Forum Annual Meeting as an MBA instructor. In 2015, she served as Member of Experts Committee of the 13th Five Year Plan by National Development and Reform Commission. She was named by the United Nations “Ambassador of Sustainable Urban Development” and Chairperson on duty for the “Commission on Sustainable Development”. In addition, from 2004 to 2016, she was listed ten times in the “50 Most Powerful Women in Business” by Fortune, which in 2016 ranked her 11th. In 2013, she was recognized as one of the “Best-Performing CEOs in the World” by Harvard Business Review, being the only Chinese woman in the list. Ulla Tørnæs has been Denmark’s current Minister for Development Cooperation since 2016, a position she also held from 2005 – 2010. She was previously Minister for Higher Education and Science in 2016 and Minister of Education from 2001 to 2005. She also serves on the World Bank Group’s Board of Governors. Ms. Tørnæs was born 4 September 1962 in Esbjerg as the daughter of fishing-vessel master and former Minister Laurits Tørnæs and director Katty Tørnæs. She attended law school at the University of Copenhagen and obtained a Bachelor of Arts in English and French at the Copenhagen Business School. She first entered the Danish Parliament in 1994, where she remained until joining the European Parliament for the Liberal Party from 2014 to 2016. From 2010 until 2016, Ms. Tørnæs was a member of the management committee of the Danish Liberal Democracy Program. Ms. Tørnæs began her political career at the secretariat of the parliamentary group of the Liberal Party, from 1986 to 1994. She served as the National chairwoman of Liberal Students of Denmark 1988-1990, Vice-president of the International Federation of Liberal and Radical Youth 1989-1993, and Political spokeswoman 1998-2001. She was a Member of the management committee of the parliamentary group of the Liberal Party 1994-2001 and of the central board of the Liberal Party 1998-2010. Janina Kugel has been Chief Human Resources Officer and a member of the Managing Board of Siemens AG since February 2015. She has global responsibility for Human Resources, including the areas of Diversity, Learning and Education, Social Innovation, and Environmental Protection, Health Management and Safety (EHS). Prior to taking on this role, she was responsible for Human Resources Strategy and Leadership Development at Siemens. 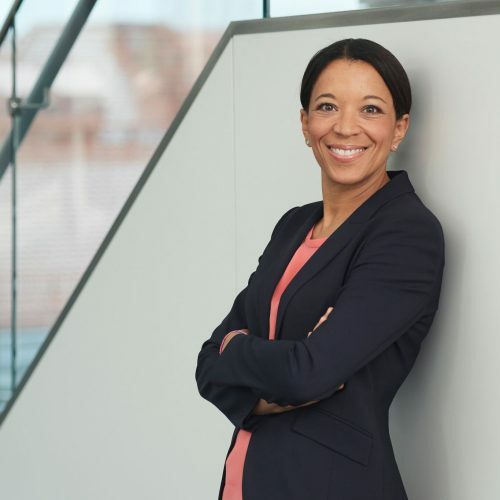 From 2012 to 2013, Janina served as the Chief Human Resources Officer for Osram Licht AG, where she had global responsibility for Human Resources, Executive Development and Diversity. Before that, she held various leadership positions at Siemens in the areas of Human Resources and Strategy in Germany, China and Italy since 2001. Janina started her career in 1997 as a management consultant at Accenture, working for international companies throughout Europe and the United States. She is an active supporter of various national and international diversity initiatives. Outside Siemens, Janina holds positions as a member of the Practice Council of Hertie School of Governance in Berlin, Germany, and as a member of the University Council of the Technical University of Applied Sciences in Ingolstadt, Germany. Moreover, she is Member of the Board of Trustees of Siemens Foundation (Siemens Stiftung), Member of the Supervisory Board of Directors of Siemens Healthcare GmbH as well as of Konecranes Plc, Finland, Member of the Advisory Council of German Pension Benefit Guaranty Association (Pensions-Sicherungs-Verein) and Member of the Executive Committee of the Supervisory Board of the Confederation of German Employers’ Associations (Bundesvereinigung der Deutschen Arbeitgeberverbände). Janina holds a master’s degree in economics from the University of Mainz, Germany, and the University of Verona, Italy. As a mother of two, she lives with her family in Munich. When time allows, she enjoys jogging as well as playing the piano. 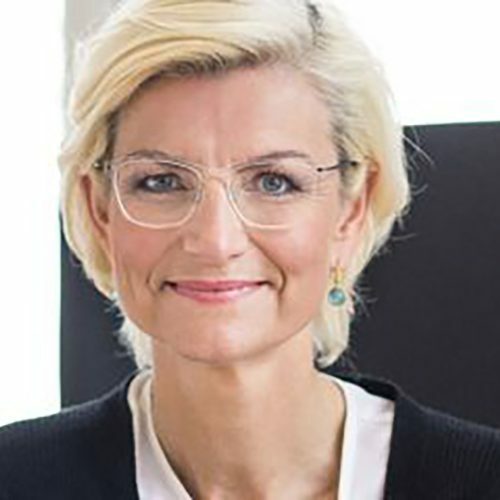 Dr. Leibinger-Kammüller is CEO of TRUMPF, one of the world’s leading manufacturers of machine tools and industrial lasers, located in Ditzingen (Germany). The TRUMPF Group, which has about 12,000 employees, achieved sales of 3.1 billion euros in 2016/17. With over 70 subsidiaries, it is represented in nearly all the countries of Europe, North and South America, and Asia. Nicola was born in the USA. She studied German, English and Japanese language and literature. Since 1985, she has been working for TRUMPF, a family owned company of the German “Mittelstand”. In November 2005, Dr. Leibinger-Kammueller was appointed President of the group. Serving as a member of the Supervisory Boards of Siemens AG and Axel Springer SE, Dr. Leibinger-Kammüller is one of Germany’s most influential business women. She also performs many honorary functions in the scientific, cultural, social, and political sectors. Susi Pudjiastuti serves as Minister of Marine Affairs and Fisheries in President Joko Widodo’s Cabinet, a position she assumed in 2014. As the Commander in Chief of Presidential Task Force for combatting illegal, unreported, and unregulated fishing (IUUF), Ms. Pudjiastuti continuously shows Indonesia’s commitment to the world in handling and combatting fishery crime at sea. Her persistence to combat IUUF in Indonesia has been widely recognized both at national and international level. Ms. Pudjiastuti is also a self-made entrepreneur who owns PT ASI Pudjiastuti Marine Product, a company that runs in the seafood export industry, and PT ASI Pudjiastuti Aviation, which operates Susi Air. Previously, she served as Commander in Chief of the Presidential Task Force for Combatting IUUF, as well as the Head of Committee of SMEs Development of Trade and Commerce. 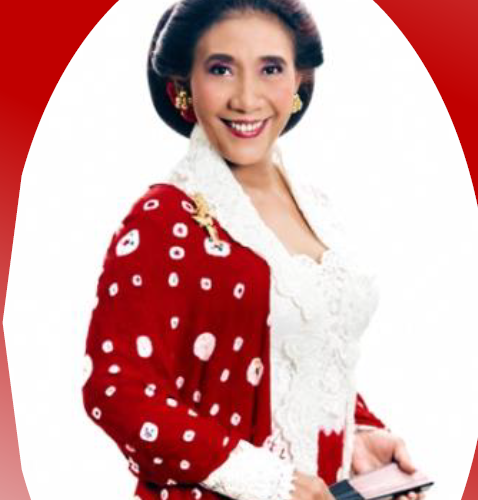 Ms. Pudjiastuti has received numerous awards and several honorary degrees for her pioneering work and inspirational leadership both as a Minister and a businesswoman. These include the Peter Benchley Ocean Award, the Leaders for Living Planet Award by the WWF, the NET TV Creative and Innovative Person of The Year Award, and the APEC Award for Innovative Achievements, Extraordinary Leadership and Significant Contributions to the Economy. In 2017 she was named one of BBC’s Women of the year. As an expert and long-time environmental activist, Ms. Pudjiastuti is a sought-after speaker at many events and conferences, such as UNODC’s 3rd International Symposium on Fisheries Crime, the Economist’s World Ocean Summit, the UN Ocean Conference, and many other prestigious events. She has held general lectures at the Norwegian Institute of International Affairs (NUPI), the Harvard Kennedy School of Government, as well as several major Indonesian universities. Kaori Sasaki established UNICUL International, Inc. (www.unicul.com), a communications consultancy that offers executive media training and translation and interpretation in seventy languages, in 1987. Known as an internet pioneer, she opened the first portal for women in Japan in 1996 and founded ewoman, Inc. (www.ewoman.jp), an influential think tank and diversity consultancy that provides marketing, branding, product development, and training to major corporations in 2000. She also founded and produces the International Conference for Women in Business in 1996, now the largest annual working women’s conference of its kind in Japan with the longest history and highest satisfaction rate, which many Ministers have attended, including Prime Minister Abe. Ms. Sasaki also currently serves on the boards of directors of major companies such as NEC Corporation, KOBAYASHI Pharmaceutical Co., Ltd., Japan Post Co., Ltd., and AGP Corporation, and was a corporate auditor for Tokyo Marine & Nichido Fire Insurance. In September 2018, she will launch an exclusive membership club “THE BOARD” for active female public board members and entrepreneurs working globally to inspire each other and to accelerate their business growth and will introduce them to public companies as a board member. Also, Ms. Sasaki is appointed to be a chair of the JAPAN Chapter of the Women Presidents’ Organization (US), the premier membership organization for women entrepreneurs, presidents, CEOs, and managing directors worldwide. Conscious of her civic duty, she also serves on many councils for the Ministries of Health, Labor and Welfare, of Education, of Economy, Trade and Industry, and of Information and Technology, including the Regulatory Reform Council of the Cabinet Office to which she was appointed by Prime Minister Abe. Ms. Sasaki is a sought-after speaker who appears regularly as a commentator on various media. She makes speeches about diversity management, time management, and new methods of marketing to smart consumers. She has made over 1500 speeches in Japan and overseas, including those at OECD and APEC conferences. She traveled to over 30 countries as an international news reporter for Japan’s top-rated news show and anchored the “CBS 60 Minutes” show in Japan. Miky Lee (Mie Kyung Lee) is the Vice Chairwoman of CJ Group. 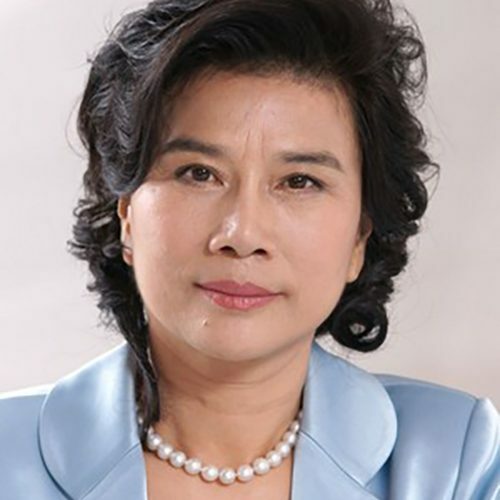 She is mainly responsible for the overall strategic direction and management of CJ Group’s entertainment and media division, which she founded alongside her brother, the Chairman of CJ Corporation Mr. Jay Lee, in 1994, after leading CJ to become one of the founding investors in DreamWorks SKG. Since then, CJ has built many influential companies in Korea’s entertainment and media industry – CJ CGV, CJ Media and Mnet Media. Each company is the leading player in their specialized industry: CJ CGV is the first and largest multiplex chain, CJ Media is the leading cable network with the highest combined ratings, and Mnet Media is Korea’s first and only entertainment company that bases all its contents on music. With the success of entertainment and media industry in Korea, Miky Lee is committed to building the global common ground to bring positive changes through the cultural industry. She continues to travel around the globe in efforts of strengthening the presence for the global expansion of CJ’s business. Prior to joining CJ, Ms. Lee served as the Director of Samsung America, spearheading its cultural and educational projects. She established the Parsons School of Design in Seoul and oversaw the formation of a branch of Pasadena’s Arts Center College of Design for Samsung. Ms. Lee has been widely recognized for leading the largest entertainment group in Korea and for her global vision. She was selected as one of the Global Leader for Tomorrow Community member by the World Economic Forum 1997. During the 2006 Women’s World Awards, she became the first Asian woman to be awarded the World Business Award. She was also selected as one of the leading executives in the film industry by Variety in its Women’s Impact Report 2006. In 2007, she received the CEO of the Year Award by Korean Management Association in recognition of her work in managing one of the largest companies in Korea. Miky Lee is the first grandchild of B.C. Lee, the founder of CJ and the Samsung Group, born in Knoxville, Tennessee, USA. 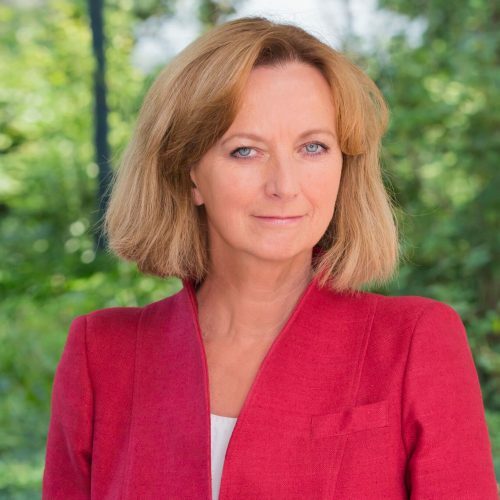 Marilou van Golstein Brouwers is Chair of the Management Board of Triodos Investment Management BV, a subsidiary of Triodos Bank. Triodos Investment Management is a specialist in developing and managing impact investment funds investing in Emerging Markets, Energy & Climate, Sustainable Food & Agriculture and SRI with EUR 3.5 billion total assets per December 31st 2017. Marilou has served on the Board of Directors of banks in Uganda, Kenya, Tanzania, Russia, Afghanistan and Pakistan. She was a member of the Group of Advisors for the United Nations Year of Microcredit in 2004/2005, of the Executive Committee of CCAP (2003-2008), member of the Board of Trustees of Women’s World Banking (2003-2012), Chair of SBI Ltd (2011-2013), Chair of the Steering Committee of the PRI/Principles for Investors in Inclusive Finance (2011-2013), Treasurer of the Max Havelaar Foundation (2008-2015), Chair of the Advisory Board of Women in Financial Services (WIFS) in the Netherlands (2011-2016), and member of the Advisory Committee of the Mastercard Foundation’ Fund for Rural Prosperity (2014-2017). 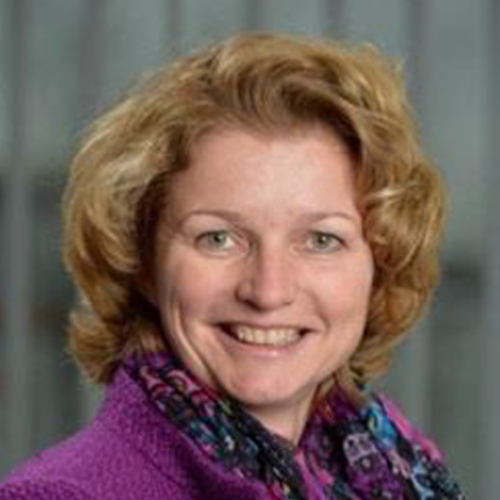 Currently she is member of the Board of Directors of the Global Impact Investing Network (GIIN), member of the Advisory Council on International Affairs Committee for Development Cooperation (AIV/COS) in the Netherlands and member of the Supervisory Board of B Corps Europe. She is also a member of the Board of Directors of Triodos Sicav I and Triodos Sicav II, member of the Boards of Hivos-Triodos Fund Foundation, Triodos Sustainable Trade Fund Foundation and Triodos Renewable Energy for Development Foundation. 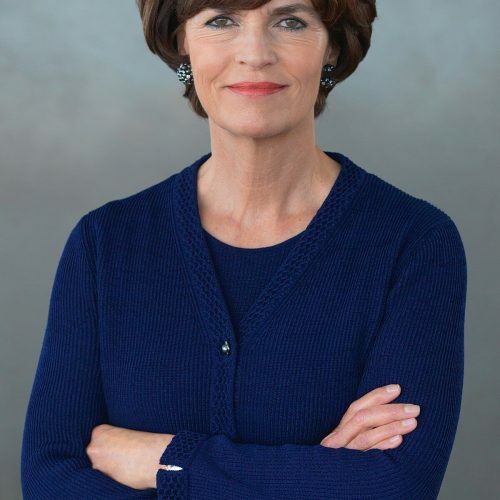 Marjan van Loon became President Director of Shell Nederland in January, 2016. Prior to this role, Ms. van Loon was Vice President of Integrated Gas and LNG (liquid gas) in Shell’s Projects and Technology division. In that capacity, she was responsible for the development of LNG activities, including the design and development of Floating LNG and LNG as fuel for the transport sector. Between 1997 and 2007 , Ms. van Loon was a Technical Manager at Karratha Gas Plant in Australia, and a Regional Manager for LNG and Gas Processing in Shell Malaysia. Born in Helmond, Ms. van Loon studied Chemical Engineering at Eindhoven University of Technology in the Netherlands. She joined Shell in 1989 as a chemical engineer immediately following her studies. She is married with two children. Tone Lunde Bakker is the General Manager of Swedbank Norway. She also serves as Head of General Assembly and Head of the Nomination Committee for Equinor ASA (fr. Statoil). 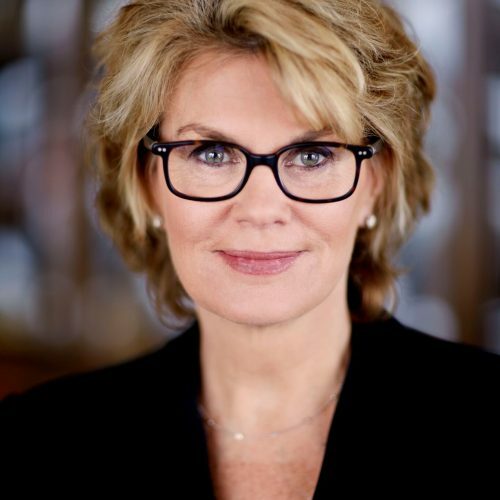 Ms. Bakker has over 30 years of experience in managerial and executive positions in the Nordic banking industry and has built a broad and strong network within the Norwegian business community. Prior to her current role, she held several positions at Danske Bank including as Global Head of Cash Management, Director of Corporate Banking Norway, as well as Country Manager and Head of Corporate and Institutional Banking. She was part of the management team responsible for establishing Danske Bank’s Commercial Banking operations in Norway, and was responsible for growing the division to the third largest Commercial Banking outlet in the Norwegian market. Ms. Bakker also held positions in SEB Norway, Christiania Bank and Kreditkasse (now Nordea). Ms. Bakker has contributed to the good corporate governance of many Nordic financial institutions. She is a current board member of the Norwegian-Swedish Chamber of Commerce and of Finance Norway. 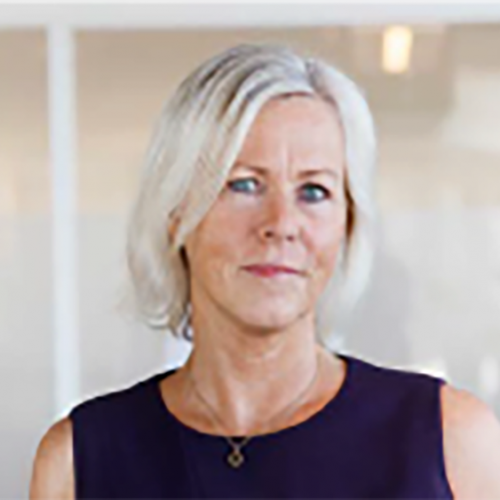 She has also served as a board member to Eksportfinans ASA, Danica Pensjonsforikring AS, Korgsveen eiendomsmegling AS, Sunaasstiftelsen, SEB Kapforvaltning AS, SEB Privatbanken AS, and Danske Capital Norge. Ms. Bakker is an Authorized Financial Analyst by the Norwegian School of Economics and Administration, and holds a Double Bachelor’s Degree in Business Administration from Arizona State University. She is married with three children. Nadiya Cherkasova is a Board member of Otkritie, one of Russia’s Top 10 largest commercial banks, and the managing director of the bank’s small and medium enterprise (SME) division. The scope of her responsibilities covers areas such as B2B product development, client engagement, and digital channel development, including internet banking. During her 25-year experience in the banking industry, Nadiya has made a meaningful contribution to the development of Russia’s SME banking segment. At the onset of her career, she worked in the program of the European Bank for Reconstruction and Development (EBRD) to develop a lending mechanism for SMEs in Russia. In 2007, she was named by the Journal of World Business (U.K.) one of the 35 Most Successful Women in Business under 35 for implementing the first scoring system in microfinance in the country. In 2010, Nadiya was named the Person of the Year by the banking portal Banki.ru and included on the list of the Top 50 Most Successful Business Women in Russia. That award inspired Nadiya to deepen her involvement in women’s entrepreneurship by creating the Committee on Women’s Entrepreneurship Development at OPORA of Russia. OPORA is a major non-profit organization focusing on SME entrepreneurship that has been helping more than half a million entrepreneurs in 85 regions of Russia. Under her leadership, the Committee has focused on providing women entrepreneurs with access to four key resources: Information; Financing; Business training; and Markets, both domestic and international. 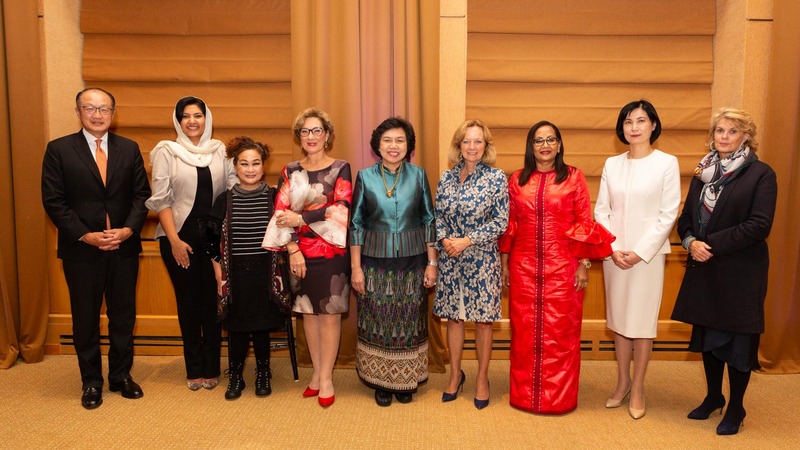 The Committee’s additional initiatives that are aimed at women’s economic empowerment include 1), initiating the APEC Best Efficiency and Success Target Award (APEC BEST) to acknowledge the best entrepreneurship projects in the Asia Pacific region; and 2), cooperating with the United Nations Industrial Development Organization (UNIDO). Her other leadership roles include serving as a Board member of MSP Corporation, a major institution started by the President of Russia to support SMEs. In addition, Nadiya is a Board member of the Fintech Association, an organization that promotes fintech innovation in Russia. She is also the founder of Boomstarter.ru, the largest crowdfunding platform in the country. Nadiya is a mother of three children. In her spare time, she enjoys traveling the world with her family, watching movies of European art cinema, and practicing yoga. Oksana Pushkina has been a deputy for the State Duma of the Russian Federation Federal Assembly since October 2016, when she was elected from the electoral association titled “All-Russian political party “The United Russia”. She since serves as Vice-Chair of the State Duma Committee for Family, Women and Children. Oksana Pushkina’s career started in journalism. During the period 1985 to 1991, she worked in the youth editorial office of the Leningrad Television Studio, releasing and hosting cycles of weekly TV programs. In December 1997, the channel of ORT TV broadcasted the author’s television project “Women’s Stories by Oksana Pushkina”. From 1999 to 2013, Oksana was an NTV anchor hosting her own weekly program “Oksana Pushkina’s Woman View”. Since February 2013, she hosted the program “I file for divorce”. In 2006, she participated in the figure skating TV show “Stars on Ice” broadcasted by Channel One, forming a couple with Olympic Games winner Alexei Yagudin. Beginning from September 2014 on, she took an active part in the activities of the Moscow Region Public Chamber, heading the Commission on the General Public Quality of Living, Healthcare, Social Policy and Labor Relations. On June 18, 2015, she was appointed to a position of a Commissioner for Children’s Rights in the Moscow region by a resolution of the Moscow Regional Duma. 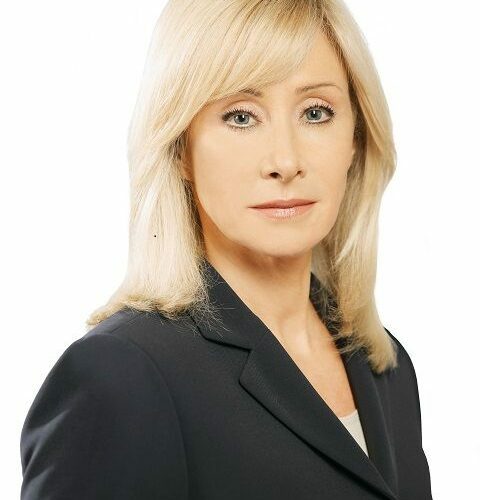 Oksana was awarded with the ‘Order of Friendship’ (2007) for her great contribution to the development of domestic television and long record of effective work. She is the “Olympia” national prizewinner for public recognition of women’s achievements, awarded in 2004 by the Russian Academy of Business and Entrepreneurship. Awarded a title of “Honored cultural professional” of the Republic of Karelia in 2017. Oksana Pushkina was born on May 10, 1963 in the city of Petrozavodsk, Karelia, Russia. In 1985, she graduated from the Faculty of Journalism of the Leningrad State University named after A. Zhdanov. At present, she is schooling for a second higher education with the Russian Federation Presidential Academy of National Economy and State Service. Over the past decade, Her Royal Highness has established a profile for advocacy of business growth, community health and women’s development issues. Formerly, she spent seven years as CEO of Alfa International, a multi-brand luxury retail company with Harvey Nichols Riyadh in its portfolio. In 2013, Princess Reema founded Alf Khair, a social enterprise with an aim to elevate the professional capital of Saudi women through a structured curriculum focusing on professional guidance and career management. In October 2017, she was appointed President of the Mass Participation Federation. Since August 2016, she has been Vice-President for Development and Planning of the General Sports Authority, a governmental body focused on developing the Saudi sports and physical fitness space. In 2017 Princess Reema was also named Member of Quality of Life Program Committee; and Head of Executive Committee for Quality of Life Program. Princess Reema is a member of several advisory bodies including the Saudi National Creative Initiative, and is a founding member of the “Zahra” Breast Cancer Association. Recognitions include Business of Fashion’s Top 500 people working in the fashion industry (2013 and 2014); Fast Company’s Most Creative Person of 2014; one of the most powerful 200 Arab women, Forbes Middle East magazine (2014); Foreign Policy Magazine Global Thinker Mogul (2014); Young Global Leader (2015); and most recently, awarded the Sheikh Mohammed bin Rashid Al Maktoum Creative Sport Award in its Ninth Edition. In February 2016, she was appointed as Minister of State for International Cooperation. Her Excellency Reem Al Hashimy joined the Federal Government in 2008 as Minister of State and had a vital role in dealing with foreign and vibrant issues of the UAE such as the UAE’s bid to host the World Expo 2020 in Dubai, where she holds the position of Director General and board representative on the higher committee of the EXPO 2020 Dubai, in preparations for this mega-event. Since Her Excellency’s appointment, H.E. Al Hashimy has managed the International Affairs Office of the UAE Prime Minister, His Highness Sheikh Mohammed Bin Rashid Al Maktoum. Additionally, she holds responsibility within the Ministry of Foreign Affairs for the UAE’s bilateral relations with India, Pakistan, Sub-Saharan African countries and the Small Island Developing States (SIDS). Her Excellency is also the chairperson of The Federal Competitiveness and Statistics Authority and a chairperson of Dubai Cares. H.E. 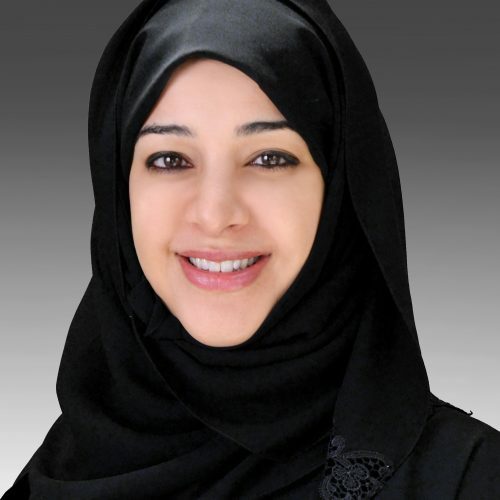 Reem Al Hashimy has extensive experience in international affairs. She started her career as Commercial Attaché and went on to become Deputy Chief of Mission at the Embassy of the United Arab Emirates in Washington, D.C. Her Excellency completed her undergraduate studies at Tufts University, Massachusetts in 1999, where she earned Bachelors of Arts degrees majoring in international relations and French. H.E. Al Hashimy also holds a Master’s degree from Harvard University in 2002. Kristalina Georgieva is the Chief Executive Officer for the World Bank (International Bank for Reconstruction and Development and the International Development Association). 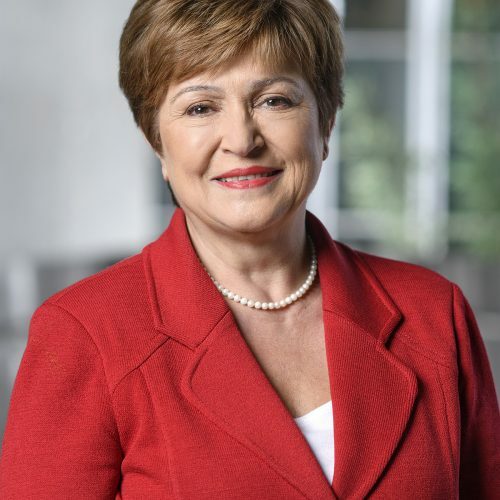 Georgieva’s role is to build support across the international community to mobilize resources for poor and middle-income countries and to create better opportunities for the world’s most vulnerable people. Previously, Georgieva, a Bulgarian national, played a leading role in shaping the agenda of the European Union, first as Commissioner for International Cooperation, Humanitarian Aid and Crisis Response, managing one of the world’s largest humanitarian aid budgets, and later as Vice President for Budget and Human Resources, in charge of the European Union’s €161 billion (US $175bn) budget and 33,000 staff around the world. Before joining the European Commission, Georgieva held multiple positions at the World Bank, including, most recently, Vice President and Corporate Secretary (2008-2010), and from 2007 to 2008, Director for Sustainable Development in charge of 60 percent of the World Bank’s policy and lending operations.